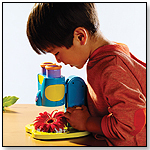 We love the current focus on STEM toys in the specialty market, and it looks like your customers like STEM toys too! Below, retailers shared with us the hottest STEM toys at their stores. Take a look at the products below, and see which would be a good fit for your store. Build a working electric fan using a circuit that consists of a fan blade rotor, electric motor, LED, resistor, switch, and battery holder. Learn how motors work, the role each electronic component plays in the circuit, and how fan blades push air to make wind. — In a January 2015 survey, four out of 10 retailers told TDmonthly that Thames & Kosmos was their best-selling brand of STEM toys. Teaching Cash Register by LEARNING RESOURCES INC. The multi-button, electronic cash register features a functional coin reader that correctly identifies real and included plastic play coins and a checkout scanner equipped with sound. The game will teach kids coin identification, addition, subtraction and place-value. — Peg Scholtes, owner of Capitol Kids in Madison, Wis., said this product sells consistently well in her store. — “I would have sold more of [them] had I not run out, but I thought I had ordered [more] and forgot,” Co-owner Mary Sisson of Kazoodles in Vancouver, Wash., told TDmonthly in early 2008. — This is a best-seller on imaginetoys.com. — Two of 43 retailers named a product by Learning Resources, including this cash register, when discussing best-selling playsets in April 2010. 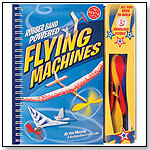 Add a recycled magazine and two plastic bottles to this kit and blast a paper rocket up to 80 feet high. Exclusive to Toysmith in the U.S.
— In a January 2015 survey, 2 out of 10 retailers told TDmonthly that 4M, distributed in the US by Toysmith, was their best-selling brand of STEM toys. Super Solar Recycler by OWI INC.
— David Stelzer, owner of Shananigans Toy Store in Baltimore, Md., told TDmonthly in a January 2015 survey that Aquarellum painting kits were one of his store's best-selling STEM toys. 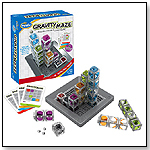 — Phyllis Stroud, owner of Rocking Horse Toy Store in Natchitoches, La., told TDmonthly in a January 2015 survey that Gravity Maze from Thinkfun was one of their store's best-selling STEM toys. My First Ball Track - Basic Pack by HABA USA/HABERMAASS CORP.
How constructive! Build up the fun with the My First Ball Track - Basic Pack set from HABA! Perfect for all master constructors ages 18 months and older, the ball track is guaranteed fun! The colorful connecting blocks come with pivots that easily lock into place on the bottom of the ball track pieces. This makes constructing easy and ensures the track stays in place even if your little one bumps against it. Plus.... ding! Build the curving track toward the finishing block with the bell so the ball with ring it whenever it reaches the end of the track! Contains 1 ramp, 6 curves, 8 colored connecting blocks, 1 finishing block with bell, 1 regular ball, and 1 special effect ball that glitters, rings, or rattles while rolling! Try it out with the My First Ball Track set and My First Ball Track Ball Ramp. As your little one grows older, this set can easily be complemented with any of the HABA ball track sets. — Dean Smith, owner of JaZams in Princeton, N.J., told TDmonthly in a January 2015 survey that HABA Marble Runs and components are one of their store's best-selling STEM toys. They sell around 10 each month.